An Ambassador Brass Telescoe is an ideal decorative showpiece for the home, office, or anywhere you may want to incorporate its vintage style. 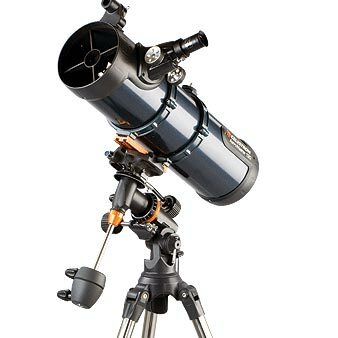 Great for the first-time telescope buyer in mind. Offering exceptional value, these scopes feature compact and portable designs with ample optical performance to excite any newcomer to the world of amateur astronomy. Celestron's CGEM features Celestron Schmidt Cassegrain Telescopes OTAs with XLT coatings mounted on our brand new CGEM mount. The Celestron CPC telescopes with new SkyAlign Alignment provides quick, easy and accurate alignment, GPS, unsurpassed optical quality, ease of set-up and use, ergonomics, enhanced computerization and, most important, affordability. Premium Optical System to explore the universe. The Omni XLT family of Telescopes was designed to offer a selection of models with Quality Optics and a stable platform for the serious amateur. Designed exclusively for use with the Celestron SkyScout� Personal Planetarium� (sold separately), the new SkyScout� Scope 90 is easy to set-up, nearly maintenance free and features Celestron�s precision optics. The new Advanced Series family of computerized GoTo and non-computerized telescopes was designed to offer the novice or more advanced user a selection of models with the features and quality that serious amateurs can appreciate. The classic heritage of the original orange tube telescopes combined with state-of-the-art features including a fully computerized operating system, flash upgradeable hand control, superior coatings, our revolutionary Sky Align software. Designed to be an affordable entry level to mid-level computerized GoTo telescope, the NexStar Star Locating Telescope (SLT) refractors and reflectors are available in the most popular sizes and are loaded with valuable design features.